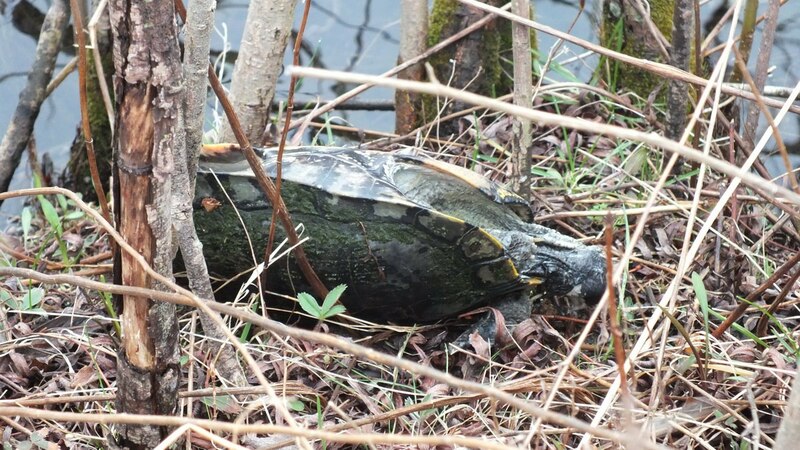 On a spring visit to Milliken Park in Toronto , we were shocked to come upon a number of dead turtles along the shoreline of the pond that had been killed by what is called Winter Kill. The pond at Milliken Park is fairly shallow according to members of a park’s work crew that we spoke to on our last visit there. 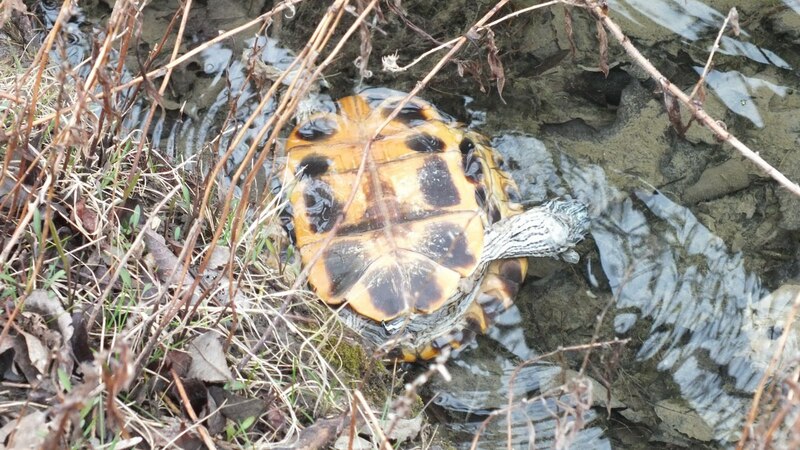 They said that, in all likelihood, due to the prolonged sub-zero temperatures this past winter, the water would have frozen solid almost to the bottom of the pond reducing the amount of oxygen required by the turtles to survive. 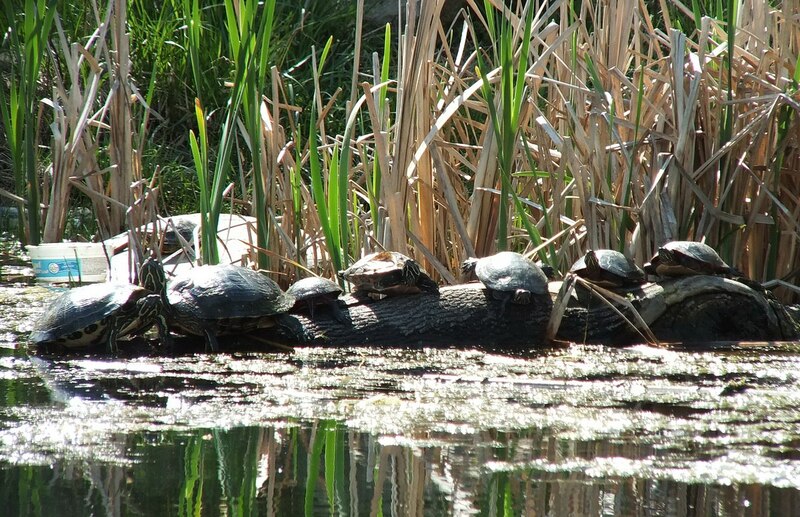 Last summer, Milliken Park was home to a large number of turtles including native Painted Turtles and non-native Red-Eared Slider Turtles. It was a shock this spring to find close to a dozen dead Red-eared Sliders lying in the water or along the edge of the shore. Our first question, of course, was what might have killed these reptiles. 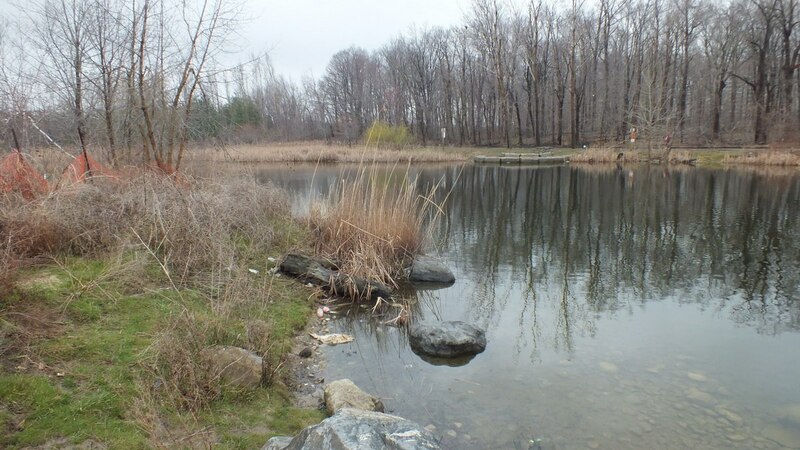 To get a more conclusive answer, we contacted Adopt-A-Pond Wetland Conservation at the Toronto Zoo. 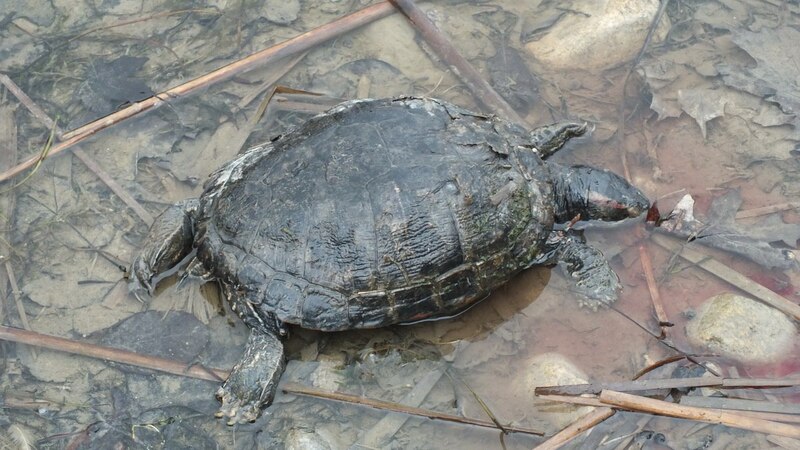 This organization is working to collect, record and store location and species information on turtles in Ontario including species at risk. 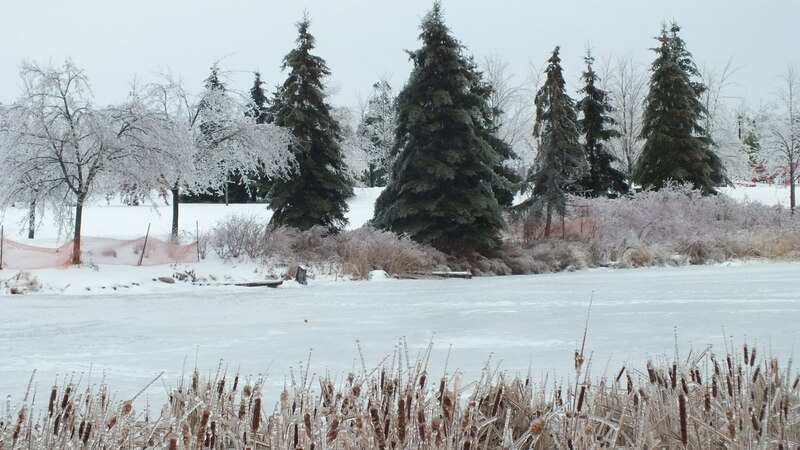 Bob and I were witness to the fact that a good number of the Koi fish in Milliken Pond were also dually affected by the lack of oxygen caused by the thick ice. 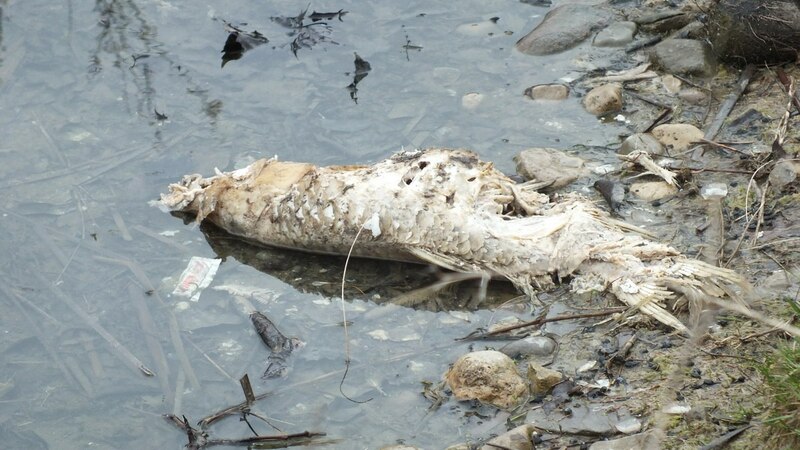 This one lay at the shoreline, but others could be seen floating near the bottom of the pond. On the internet at Nature North, we learned that, in Manitoba, large numbers of frogs were killed by Winter Kill in 2012. 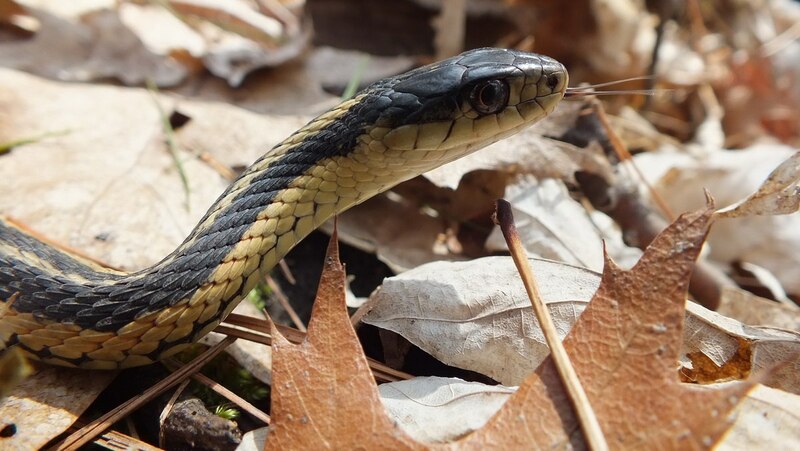 That spring, biologists out there came upon large numbers of dead Salamanders and close to 300 dead adult Leopard Frogs that had sought winter refuge in a pond. They were all killed by the freezing over of the pond. 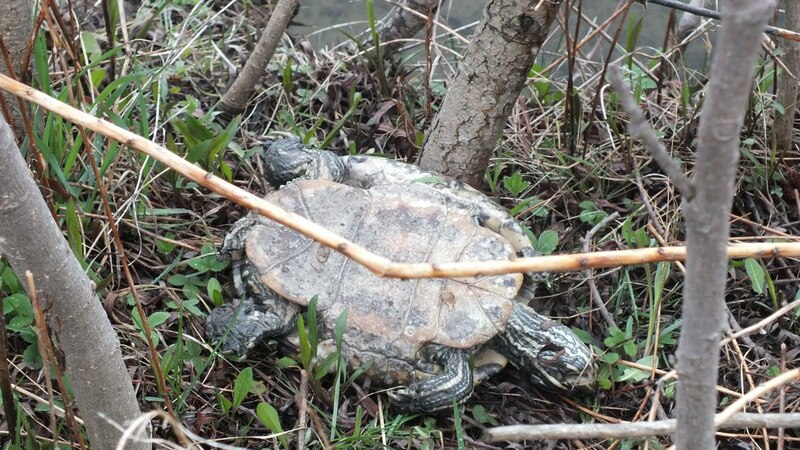 So, as disturbing as it was for Bob and me to find close to a dozen dead turtles at Milliken Pond this spring, it is not so unusual as to warrant concern. Julia reminds us that, even with all the loss, there is still a bright side to the story. 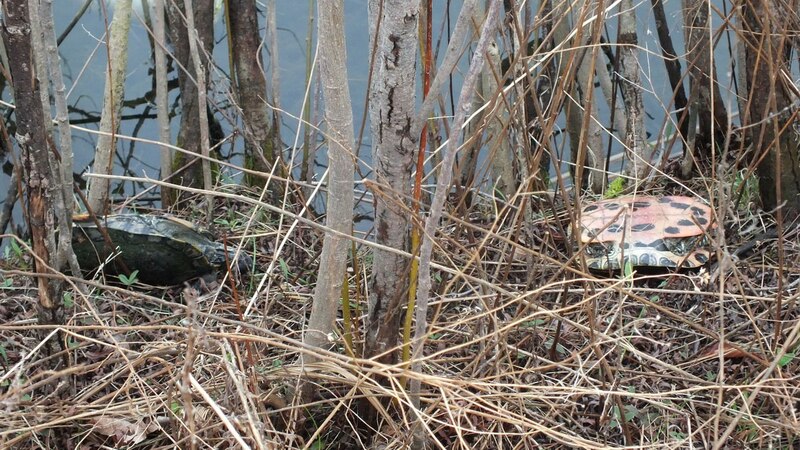 The unfavorable competition for nesting locations and food caused by the proliferation of non-native species such as Red-eared Sliders has now been put in check and will perhaps lead to a healthier population of native species that were being threatened. 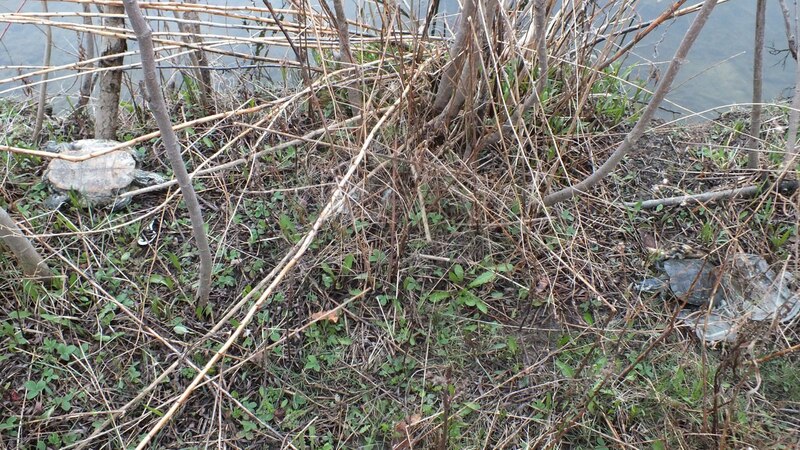 Reading this you can certainly see how survival of the fittest operates.Wonderful photos once again.Thank-you. Thanks Hazel. It is nice to hear from you again. It is true; nature takes care of itself for the most part, so long as man doesn’t interfere. Hope things are well with you. This is so sad to discover. 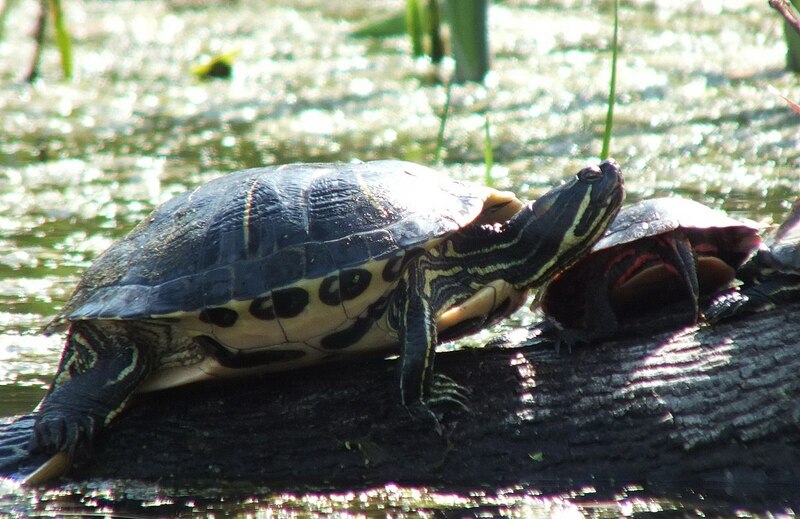 It is sad to see the death of the Red-eared Sliders, but I think, in the long run, that nature is taking its course. If people had not irresponsibly ditched them in neighborhood ponds, this would not have happened. 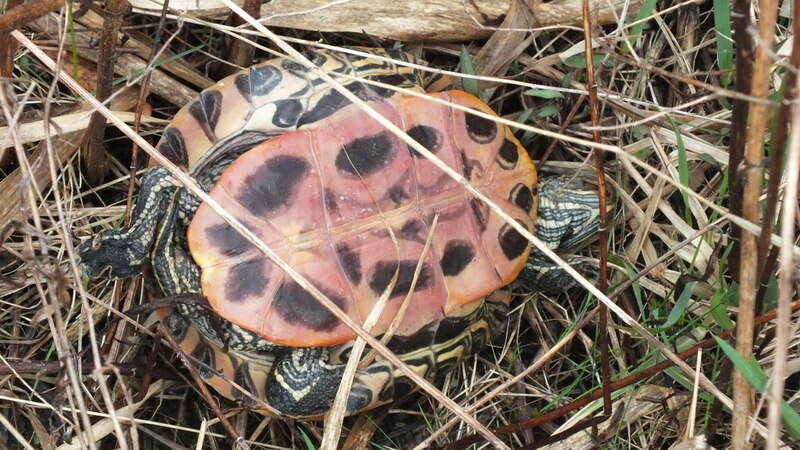 Perhaps it will give native species such as Painted Turtles a better chance of survival.